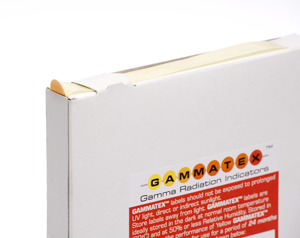 Our Gammatex gamma sensitive labels are a reliable way of indicating gamma radiation sterilisation. 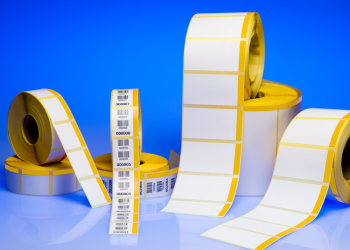 Manufactured in either 12mm dots in rolls of 5000 labels or as stripes on the side of 48x23mm labels. 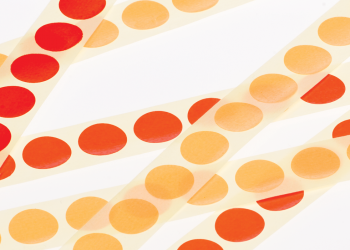 From as little as 5kGy and can be hand applied from the dispenser box also suitable for automated application.